Poipu Plantation is located just a easy walk to the Brennecke's and Poipu beaches on the East End of Poipu Beach Park. All Air Conditioned with free wireless, parking, housekeeping, no extras. Rentals or Bed and Breakfast from $135 to $245 depends on the suite selected and number of nights. 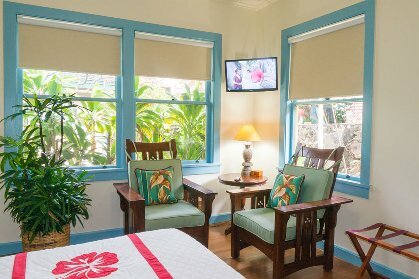 Situated on an acre of Hawaiian gardens, this is a quiet, private place of accommodations with staff here each day. 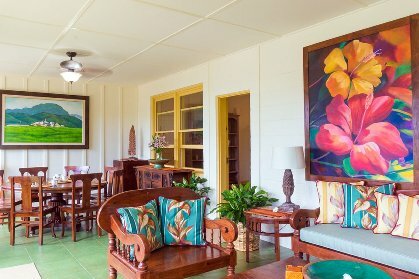 This spacious acre property includes nine Cottage Style Apartments with a choice of our One-Bedroom Apartments or our spacious "'Ohana" Two Bedrooms with Two Baths. The Cottage Style Apartments include fully equipped kitchens and private decks. Accommodations are air-conditioned and have wood floors, free local phones, ceiling fans, private bathrooms, cable television, fresh tropical flowers and many other amenities. For one and two bedroom rentals, the standard nightly rate is from $145 to $210 and plus tax, . There are long stay rates as low as $125. 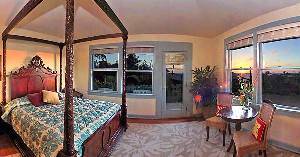 Our charming 1938 Hawaiian Plantation House has three B&B suites and a beautiful Ali'i Suite. The suites are from $125 to $220 nightly plus tax. 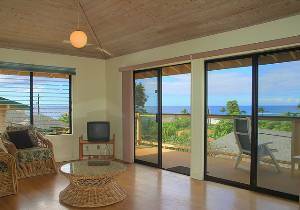 The B&B Ocean View Ali'i Suite is the ideal accommodation for a romantic honeymoon experience. 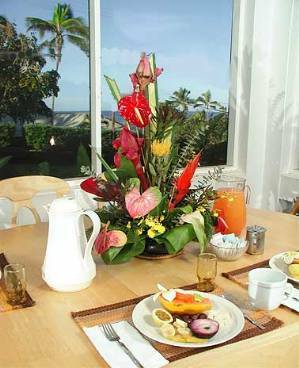 All B&B guests are treated with aloha and are greeted each morning with a full, tropical breakfast. The Owners and staff of Poipu Plantation are always available to assist guests with planning island activities and to share our favorite "hidden places". We have rental car discounts that can be arranged in advance as well as activity discounts. Come let us share the spirit of Aloha! 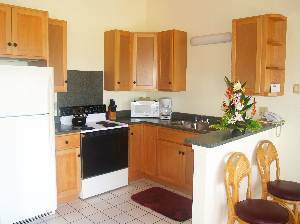 Also located on property is a coined laundry facility and hot tub welcomed to all Poipu Plantation guests. For guests of our Bed and Breakfast house. We spent two nights here, staying in the Norfolk Suite (holiday rental rather than bed-and-breakfast). Our suite was spacious, the fittings of a decent standard for a holiday rental, the furniture solid and with plenty of storage space. The bed was very comfortable. The bathroom was a good size and generously supplied with towels. The kitchen had everything we needed for a bit of self-catering, but you could do full-scale cooking with no problems. There were adjustable blinds on every window to counteract the sun throughout the day, so we found we didn't need to use the air conditioning. The building is not new, but everything was very clean. Our balcony had an excellent view of the nearby ocean and the mountains inland. Further afield, the grounds are very well kept and despite the number of people close by, very quiet. The laundry, located in its own building, was spotless. We didn't have a car, but there was plenty of parking space. The staff were approachable, thoroughly professional and very helpful. The Resort is set in a quiet neighbourhood, with the beach and some dining options five minutes' walk away. The nearest shopping centre (which has some very good dining options) is 20 minutes' walk away, though footpaths are lacking for most of the trip. The Resort was just as described and really hit the mark for us. It had a pleasant and relaxing atmosphere and we felt at home right away. Room Tip: The Norfolk Suite has a lovely view. Reviewed November 3, 2013 via mobile I stayed here for 5 nights in July this year. I thoroughly enjoyed my stay here. The breakfasts each morning were absolutely amazing and Javed was an absolute gold mine of information on where to go and what to do while also providing fabulous insights into the history of the island. 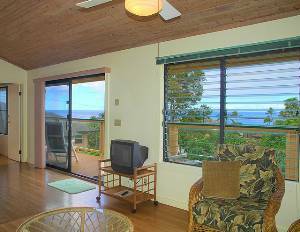 I would absolutely recommend as a wonderful location to stay while enjoying Kauai. I will definitely be back some time soon I hope. As a family of 4, we stayed in the Ocean-View 2 Bedroom Unit for 10 days. It was an excellent location for us; a 5 minute walk to Poipu Beach and Brenneckes Beach for snorkelling and boogie boarding. With the excellent information provided by Javed, we were able to discover more beaches, other activities, more entertainment and terrific food choices. Old Towne Koloa is only a 10 minute drive away and provides a variety of food choices and stores, without losing its small town charm. From the resort, we could walk to Casa di Amici for a wonderful evening meal or to Brenneckes Beach Broilers for drinks or a light meal. Or we made many tasty meal in our vacation rental with all the fresh fruit and fish available. We loved the fruit stands and farmers markets in the area. Poipu was easy to find from the airport, even in the dark at 11pm. I agree with the previous review by "packourbagsyyz". Poipu Plantation Resort was an excellent setting for our island getaway. I found it thru Tripadvisor and it lived up to all its excellent reviews. I stayed here for 5 nights in July this year. I thoroughly enjoyed my stay here. The breakfasts each morning were absolutely amazing and Javed was an absolute gold mine of information on where to go and what to do while also providing fabulous insights into the history of the island. 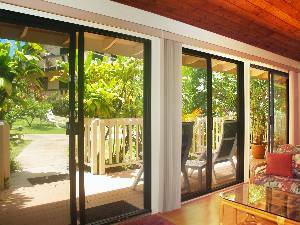 I would absolutely recommend as a wonderful location to stay while enjoying Kauai. I will definitely be back some time soon I hope. Reviewed 3 weeks ago We stayed 5 nights in a one bedroom 2nd floor ocean view unit, the Macademia, and wished we didn't have to leave. It is a large and immaculate apartment with high, sloped ceilings and windows on three sides including three sets of sliding doors to a big balcony. We slept extremely well on the very comfortable bed. The kitchen is fully equipped. Management is friendly and knowledgeable. The grounds are attractively landscaped and well-kept. Poipu Beach is a 5 minute walk down the street. I call this "the perfect place" because for us it was: quiet, understated, small property, well-located, friendly management. It felt authentic. We will definitely return! We truely enjoyed our visit to Kauai and staying at the Poipu Plantation Resort. Our kitchen suite was clean and roomy with everything we needed. The location is wonderful. We walked to the beach easily and used the resort beach towels and chairs. They helped us with other activities which getting advise from the locals is a real advantage. We will return. Great place, wonderful service, awesome value, walk to the best beach....must I say more? We ask for a three night minimum to book advance reservations. Garden view is this listing, and others are available. Ocean View and B&B Suites are a five night minimum. Less nights are considered under certain circumstances, inquire with the office. Winter Holiday (Dec. 17-Jan.1) is a 5 night minimum, standard rates. Deposit: 50% Deposit required at time of Reservation Confirmation. Cancellations and Refunds: Varies with reservation. Standard Reservation: 60 or more days notice and deposit is refunded, less $40. With 30 or more days notice deposit is 1/2 refunded. Other Fees: All out cleaning costs are included with our affordable rates! Cottage Style Apartments are self cleaning units. B&B Rooms and Suite include Daily Housekeeping at no extra charge.